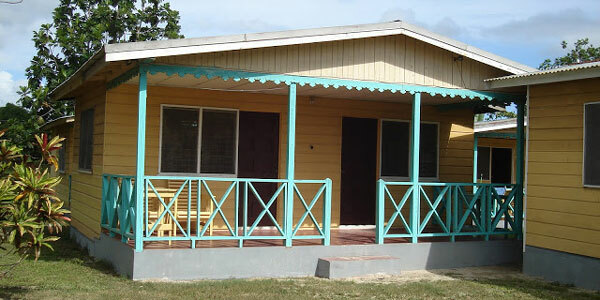 Ansell's Thatchwalk Cottages are conveniently located on Negril's seven-mile beach that provides a quiet, relaxed, laidback feeling. For an unhurried vacation, Ansell's Thatchwalk Cottages and Guest House offers accommodations to suit your needs. Your cottage is steps away from the crystal clear sea. 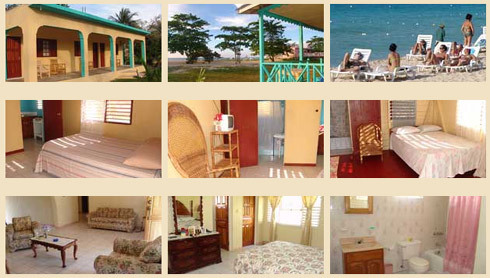 The cottages are surrounded by beautiful lawn and tropical fruit trees and flowers. Just a short walk from Negril shopping centre and the Norman Manley Sea Park. Restaurants and water sports, such as jet skiing, snorkeling and scuba diving are nearby. We are a family operated business with friendly people to make your vacation a pleasant stay. They have a total of eleven rooms, some with kitchenettes. Each of their rooms have private bathroom and shower. All rooms have ceiling fans, some with air conditioning, refrigerator and cable television. Newly built three-room studios with kitchenette, private bathroom with shower. All studios have cable television also air conditioning. Each of the studios can accommodate three people. Additional charge of $10 per night for third person. The spacious guest house offers luxurious accommodations for a family or group of friends. The house has four bedrooms, two bathrooms, large kitchen, dining room, laundry room, verandah and garage. It also have air conditioning, ceiling fans and cable television.